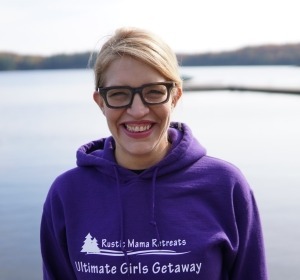 The idea for Rustic Mama Retreats was conceived from a fairly simple desire… The desire to getaway, to relax, to refresh and to reconnect with what’s important to you in this life. To remember what it was like to not have a care in the world. To be that kid with the sun in her face and the wind in her hair. To Laugh, Dance, Cry, Run, Jump, Craft.. whatever your heart and soul desires. That idea grew to include opportunities — opportunities for adventure, excitement, passion, reflection, self-discovery, education and creativity; a chance to embrace life in all its wonderful facets, and do so in the company of other like-minded adventure seekers. If there is one thing we have learned, it’s that when women gather… something magical happens! As a busy mom to 5 kids, an entrepreneur and an outdoor adventurist, Jennifer is known for embracing the chaos and for running with a new idea. Although focusing specifically on Retreats is a fairly new venture, she has been involved in large number event planning for over 20 years. 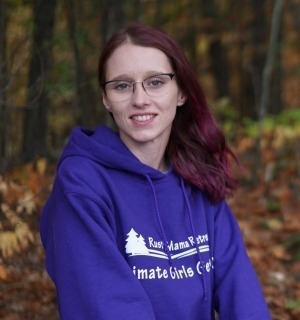 Growing up in a small town, she spent her teenage years volunteering at summer camps, and then began running her own day-camp programs for youth in her late teens. Later, trained as a social worker, she spent many years facilitating events for special needs children and adults before launching her own small business that focused more on her creative side. Jennifer also has a passion for volunteering and works with many organizations. 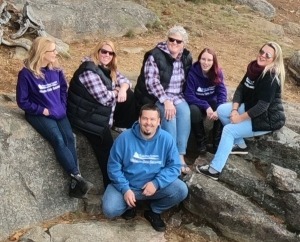 As a leader in Girl Guides, the Chair of the local School Council and a very involved mother to her 5 children, she has planned many large events for over 200+ people including outings, camps, sleepovers, fundraisers, reunions and parties. Susan knows first-hand the importance of taking time for herself. When it comes to juggling work, 2 children – one with higher needs, homework, family time and managing the household, she understands that the struggle to find the precious time for herself, for a cup of tea and even for reading a single chapter is challenging. She enjoys learning and self-discovery. Her favourite self-care manta is “you can’t pour from an empty cup!” The outlet of journaling has recently become a passion of hers and taking a few minutes every day to reflect on her family, her successes or her challenges has allowed for greater stress relief and deeper reflection. Susan uses her skills to teach Bullet Journalling and Vision Boards at each weekend retreat to encourage other women to carve out time for themselves and follow their own dreams. Richard, otherwise known as The GoPro God and founder of Atom the Pug Media, has been shooting up a storm since childhood! He grew up in the suburbs of Mississauga and due to the limitation of beautiful scenery, it forced Rich to get super creative with his work. He has shot everything from the grass growing to having his dog, Atom, drive an Army Tank. Rich is always finding a way to capture the moment in a way we don’t normally see it. Armed with a pile of GoPro cameras, Drones and just about everything in between..his unique style continues to captivate audiences across the globe. 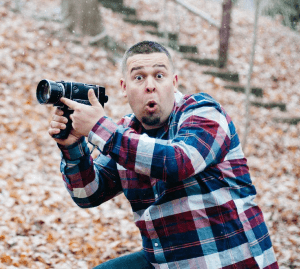 Whether it be still photography or video, this guy has you covered! Rich and his incredible sense of humour will be on hand at every Rustic Mama Retreat to capture all the moments you won’t want to forget! For over a decade, Jennine has led workshops on self-empowerment, team-building and clear communication using the techniques of improvisation as seen on “Whose Line Is It Anyway”. Jennine is also an actor (The Second City National Touring Co., “Howie Do It” w/Howie Mandel) and writer (CBC, Chatelaine, Today’s Parent, and Best Health magazines) and tours the country as part of the all-women comedy show, Girls Nite Out! Jennine joins us at every Rustic Mama Retreat to get the party started! She hosts the Wine Social Welcome Gathering on Friday evenings and ramps up the Themed Dance Parties every Saturday night by hopping on the dance floor and giving away some incredible prizes throughout the evening! Active and always smiling, Kirsti is a mom to 4 children and focuses on leading a healthy and active lifestyle. 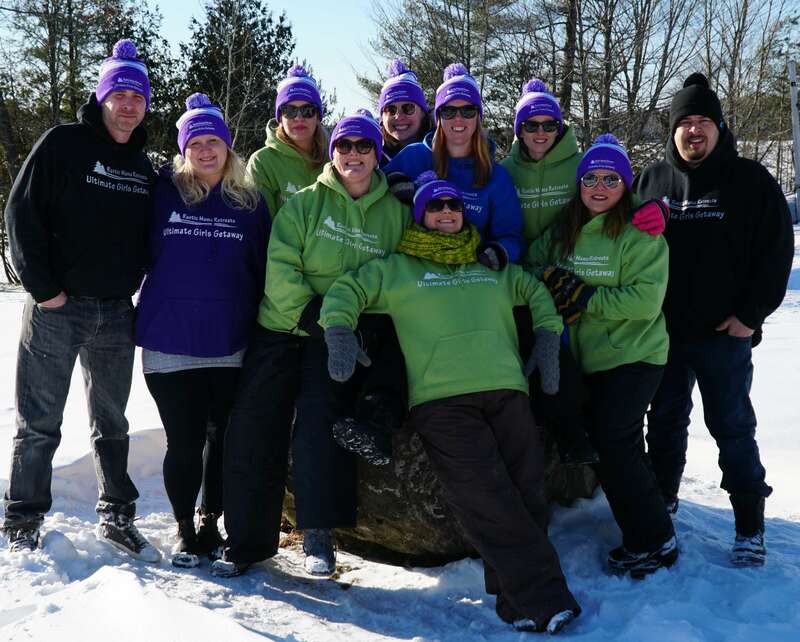 After relocating from Toronto to the small town of Warkworth, Kirsti realized how important it is to have a support network and those girlfriends you can count on for anything! 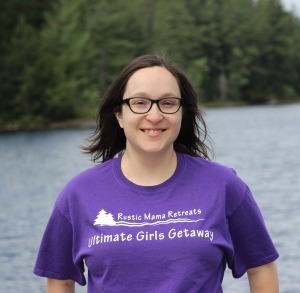 Loving the outdoors, Kirsti runs several wilderness workout groups and values the time she gets to connect with her deeper self. 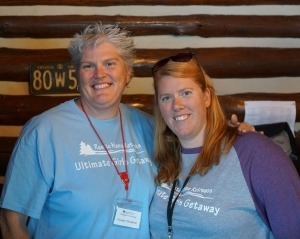 At every Rustic Mama Retreat, Kirsti is the do-it-all girl. She will be one of the first people you meet when you check in and will solve any issues that arise over the weekend. 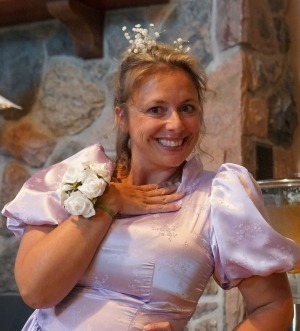 She also runs workshops, handles the evening campfires, is your weekend bartender and will dance the night away with you! She is a friendly face always ready to help! A multi-talent individual, Micaela is not only a Registered Massage Therapist practicing in Warkworth ON and Trent River ON, she also is an incredible musician, singer and DJ. She is mom to two, wife to one, and fur-mom to a dog and a rabbit. 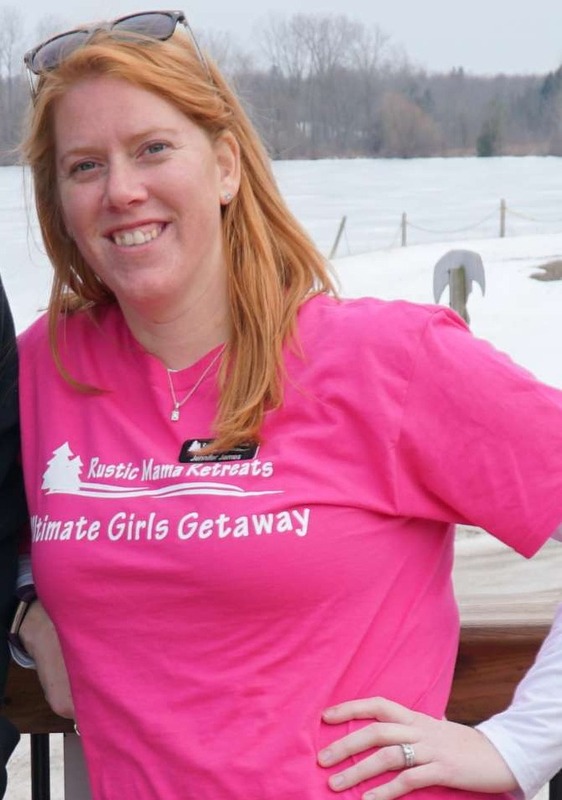 The most recent member to join the Rustic Mama Retreats team, Micaela was the piece of the puzzle that was always missing. Friendly and helpful, her incredible charm and upbeat personality put a smile on the face of everyone she encounters. During Retreats, you might see her running some musically inspired workshops, lending a helping hand and cranking those tunes for the dance party! 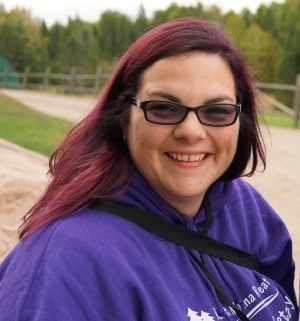 A creative soul and avid DIY’er hailing from the small town of Warkworth, Jessica is a mom to 2 adorable daughters and a Girl Guide leader in her spare time. With a keen eye for detail, Jessica excels at party planning and decorating and she never misses a detail. She is a passionate environmentalist who thrives on finding ways to reuse materials and turn them into something amazing. Jessica joins us at every Rustic Mama Retreat to run a variety of creative and crafty workshops. Everything from creating natural bath and body products to rock painting to woodworking and everything in between. There is nothing she can’t create! A visionary and self-taught artist, Julianne Baker is inspired by colour, wildlife, and the environment. Resourceful and imaginative, she is a Second Degree Reiki Practitioner who intuitively accesses the flow of energy not only to heal but also to create. Mom to 3 children and incredibly active in her community, Julianne enjoys teaching other women how to tap into their creative sides and watching them create something they can be proud of. Julianne runs a variety of creative workshops at all Rustic Mama Retreats. Activities include guided paint parties, glass etching, string art, mala making, pebble art, painted wine glasses, and so much more. 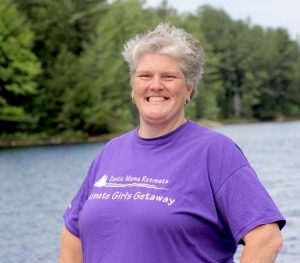 Growing up in a small town and spending her teen years working at various summer camps in rural Ontario helped foster a love of the great outdoors for Dawn. After relocating from her small town to the big city, she realized the importance of needing to keep those connections to the outdoors and to her friendships near and far. Also a mom to 2 young children, Dawn has some first-hand understanding of how difficult this becomes as life progresses. 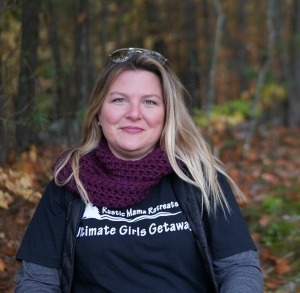 At Rustic Mama Retreats, Dawn helps plan and execute all retreats. Her goal is to help create events that make it easier for women to get away and take the time to focus on themselves and on friendship! 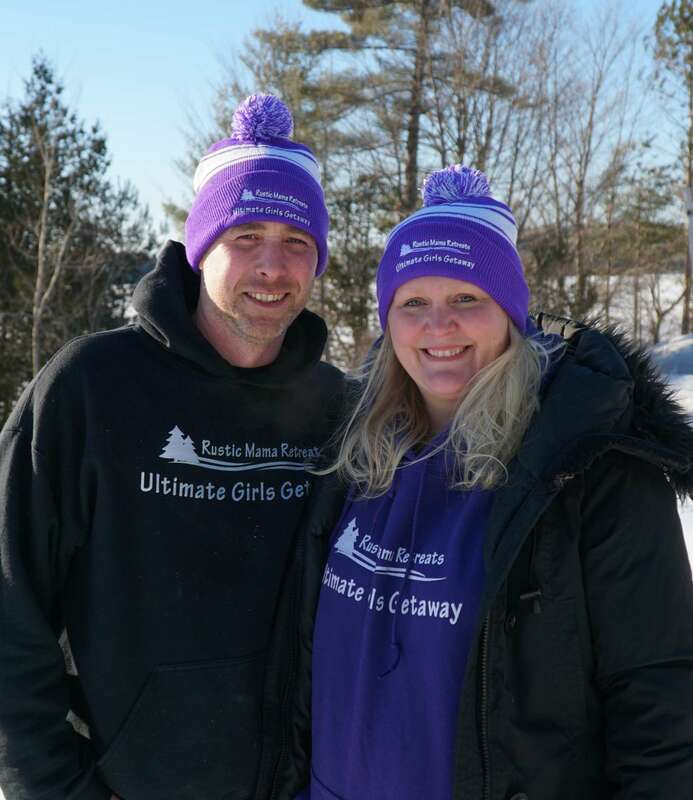 This husband and wife team bring wood working projects to life at all Rustic Mama Retreats. Alex is the talented owner of Anchor and Co Designs which creates beautiful rustic handmade signs and runs multiple workshops per week in and around the Peterborough ON area. Chris is the master of assembly and assists at all workshops. He has a keen eye for design and is always willing to help you out while you create your masterpeice. These two came on board to run the incredibly popular sign and tray making workshops at each and every Rustic Mama Retreat. Sign designed are unique and change multiple times throughout the year so there is always a fresh new sign for you to create. 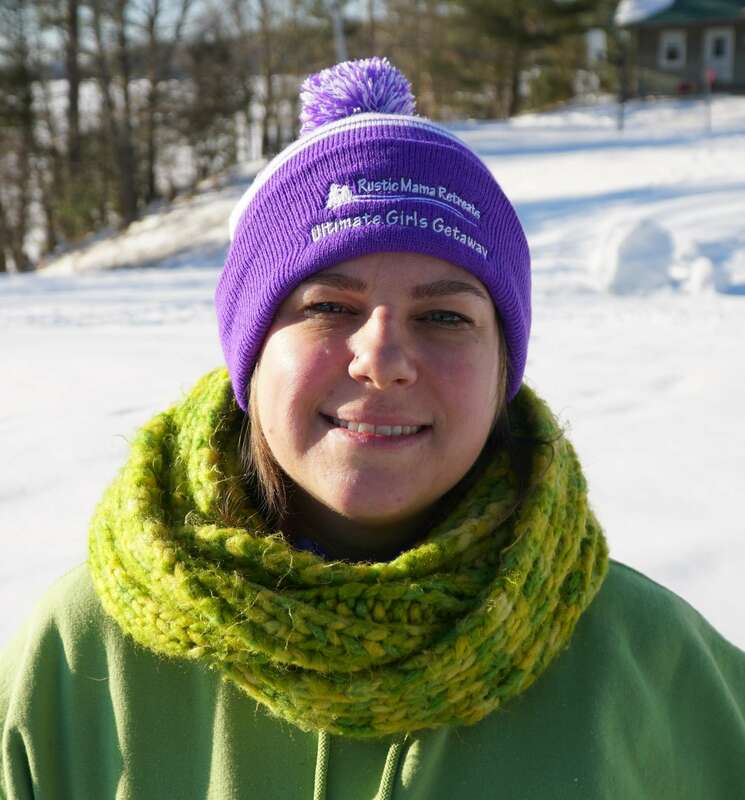 Born and raised in East City Peterborough, Vanessa joined Rustic Mama Retreats following the birth of her 6th child. While juggling motherhood, being a wife and running her own successful business, she understood first hand the importance of weekend getaways for women! 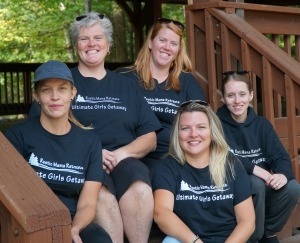 Vanessa handles all the behind-the-scenes activities that make Rustic Mama Retreats a success. This includes processing registrations, writing newsletters and Facebook event posts, sorting through the session selections, creating the welcome packages before you arrive, bookkeeping, payroll and so much more. Vanessa holds a Business Administration – Accounting Diploma from Sir Sandford Fleming College and a BBA Honours Degree from Trent University and also runs her own business, Dinesen Financial.